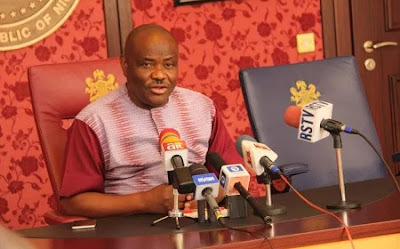 Governor Nyesom Wike of Rivers State has requested the immediate sack and replacement of some key officials of the Rivers State Independent Electoral Commission (RISIEC) to prepare the body for a smooth local government elections. Mr. Wike made the request on Tuesday in Port Harcourt in a letter to the Rivers House of Assembly. The letter, read by the Speaker, Ikuinyi Ibani, asked for the sack and outright replacement of the affected officials was informed by the partisan attitude observed in them. The letter said that security reports had shown high level of distrust among the affected officials, hence the need to inject new brains that would uphold neutrality which the commission represented. The letter read in part: “I hereby request the removal of the following members by the House, this move is in the public interest and in accordance to section 201, subsection 1 of the 1999 Constitution as amended. On his part, the Speaker said that during an oversight function carried out by the House Committee on Local Government in 2017, the commission was found to have performed below its constitutional capacity. “When report shows that some high profile members of such a sensitive commission were found wanting, there is need for urgent action such as this. “There is, therefore, the need to inject new blood into the system in the interest of democracy and to further protect the third tier of government,’’ Mr. Ibani said.